In the mid of November, a strange metal object has dropped to the northern Namibia, about 480 miles (750 kilometers) north of Windhoek. The space object had 14-inch-wide (35-centimeter) metallic sphere and left a 13 inches (33 cm) deep and 12.5 feet (3.8 meters) wide crater. The object weight was 13 pounds (6 kilograms) and it has a rough surface. 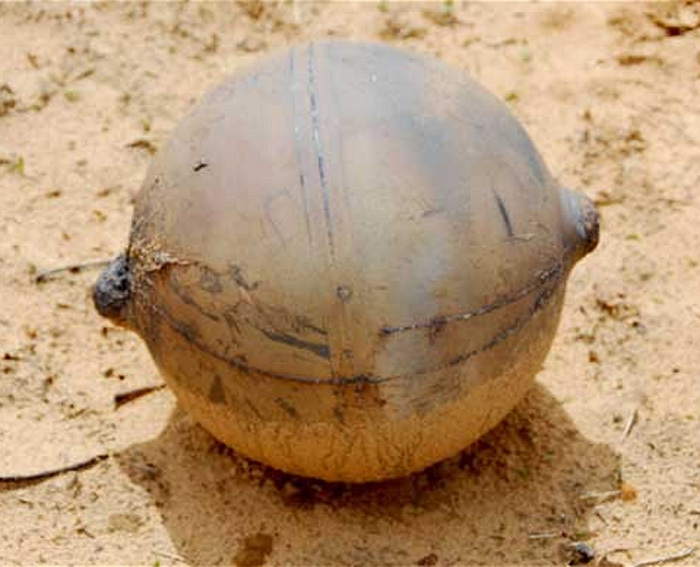 The information about the metal space object has been spread in the news only on December 22, since Namibia’s local authorities were checking the object against any danger it may hold. Finally, police deputy made an announcement that the space object does not poses any danger to the public and it is not an explosive device. However, NASA has not yet confirmed what type of object is it and whether it is one of the space objects that fallen down to the Earth during 2011. According to the reports from NASA, there was no much space junk hit the Earth during last year. One of the major fallings was registered in October 2011 when Germany’s 2.7-ton Roentgen Satellite (ROSAT) satellite fell down to the Indian Ocean. Following the news from Russia’s Phobos-Grunt Mars probe, that was launched in November and then stuck in the Earth’s orbit instead of moving towards the planet Mars, it is supposed that it will be the next major space object falling down to the Earth. The experts assume that the 14.5-ton Phobos-Grunt spacecraft will hit the Earth by the mid of January.